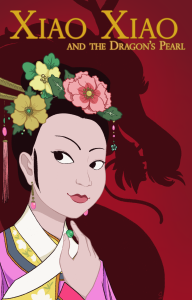 Enter the world of Xiao Xiao, daughter of an imperial courtesan, and a fantastical historical Qing China, with dragons, magic and traditions. What happens when her mother adopts a baby girl found in a rice field? What does – can – the green pearl do? Xiao Xiao & The Dragon’s Pearl won runner-up in the YA category in the e-Festival of Words 2016. Also in Kindle and Special/Limited Paperback. The adventures of Xiao Xiao and Ming Zhu continue with the second half focusing on Ming Zhu. What would happen if Ming Zhu returns? Would the dragon princess reconcile with her father? Of course, there are recipes, festivals, and an intense friendship between two princesses.